The boulevards of Paris, already bustling with a dizzying range of transport devices, are set to feature a new shared electric scooter system that has swept the US and is now heading for Europe. 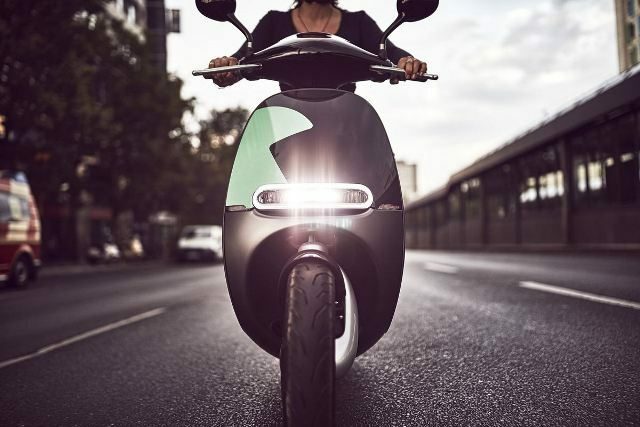 California-based Lime launched a pilot scheme for the two-wheeled powered scooters on Thursday in several districts of the French capital and will roll them out across the city. “Very quickly our fleet will grow to respond to demand,” Lime’s director for France, Arthur-Louis Jacquier, told AFP. The US start-up, which already operates bike-sharing schemes in Berlin and Frankfurt, has big ambitions in Europe as it competes with other fast-expanding American rivals such as Bird. The new e-scooters arrive as Paris faces problems with two of its flagship transport innovations over the last decade which forged the city’s reputation as a pioneer for new forms of commuting. The city’s bike-sharing scheme Velib’, launched in 2007 and since copied around the world, is in disarray after a change of contractor led to major problems and a shortage of bikes. An electric car-sharing system known as Autolib, launched in 2011, could be at the end of the road after it ran up major losses that neither local authorities, nor private operator Bollore are prepared to absorb. The public body that oversees the car system is set to meet on Thursday and could vote to cancel the contract with Bollore, which would leave its 150,000 users in the lurch. Paris city authorities estimate the loss incurred from cancelling the deal at “several tens of millions of euros” while Bollore, owned by French magnate Vincent Bollore, expects it to be up to 300 million. Autolib was never adopted by Parisians in the way they took to the shared bikes, meaning that the number of subscribers was lower than expected while new taxi apps such as Uber undercut it on cost. Lime and other private operators of new transport-sharing solutions are looking to capitalise on the problems with Velib’ and Autolib’, which are both backed by public money. Chinese bike-sharing groups such as GoBee and Ofo as well as Singapore’s Obike have piled into the French market, adding to the ever-expanding range of options available to commuters and travellers. They have also added to congestion on pavements and led to criticism from pedestrians who must often weave around bikes that have been badly parked or scattered on streets. As well as pedal-bikes, electric bikes, electric mopeds, motorbikes and cars and buses, Paris’ streets are also awash with skateboards, scooters and increasing numbers of battery-operated unicycles. Complaints about electric scooters have mounted in US cities such as San Francisco where dangerous driving and competition for space with pedestrians and drivers has caused tension. The Lime scooters in Paris will have a top speed of 24 kilometres an hour (15 miles an hour) and are able to travel 50 kilometres on a single charge. All the vehicles, which have a GPS and can be reserved using a mobile phone app, will be collected each evening by Lime and recharged.